Narangba Heights - Achieving the Impossible! How do civil engineers mitigate flood risks? Many Queensland residents remember the intense flooding that hit the state on January 13, 2011. According to Risk Frontiers, insurers with clients around the Brisbane River catchment received more than 56,200 claims after the natural disaster, amounting to $2.55 billion in payments. While many of the people who lost their homes were insured, this coverage does little to hamper the negative economic impact these floods had on local communities. Flooding damages business property and prevents employees from getting to work, thus halting production across multiple industries. This concern has prompted civil engineers to design structures capable of containing stormwater, two of which are described in this article. The Australian National Committee on Large Dams (ANCOLD) noted that many urban planners factor retarding basins into their strategies. Their composition differs depending on their location, the frequency at which floods are expected to occur, existing ecosystems and other factors. Above all else, retarding basins must provide security to downstream civilians. During the design phase, it's important engineers consider the chances of a basin failing and measure the consequences associated with that event. This is done by calculating the maximum possible flood and assessing an existing basin's ability to contain that water. Retarding basins vary in size. While some may comprise vast wetlands, others may be low spots of ground next to playing fields. Developing them entails creating dams that possess a robust structural stability. While many levees are made from earthfill, there are others made of concrete. The Queensland Department of Natural Resources and Mines defined a levee as an artificial embankment or structure that reduces or prevents water flow onto land. Levees are typically placed around rivers that are prone to flooding during times of intense rainfall. While many levees are made from earthfill, there are others made of concrete. However, due to the expenses associated with this material and the desire to mitigate disruption to ecosystems, it's more common to use clay, gravel, sand, silt and stone to construct these structures. Levees and retarding basins are just two engineering creations used to contain stormwater. If you want to know how Burchills Engineering can provide consultation on how to develop these structures, speak to one of our consultants today. In regard to engineering, innovation consists of introducing concepts and practices that are different than existing design principles. For example, a hydraulic assessment of conveyance may lead a water engineer to propose a somewhat unorthodox dam design. The Queensland Chief Scientist outlined a six-step plan to promote engineering innovation. The Queensland government is trying to encourage this kind of thinking. Between 2002 and 2012, the number of professional engineers working in the state increased 40 per cent, according to the Office of the Queensland Chief Scientist. This figure correlates with the state's recent focus on revamping its resource industry and investing in infrastructure. What does innovation mean to Queensland? "Procure to encourage innovation through a demand driven innovation policy for Government as an intelligent and demanding customer." The main message constituents can glean from this statement is that Queensland wants to position itself as the ideal client; one that trusts the expertise of Queensland's engineers to launch and manage projects that ensure the region's operability. Acknowledge and advertise statewide engineering innovations. Encourage ingenious behaviours among engineering firms. Educate industry experts on why innovation is essential and how they can integrate it into their practices. Share and analyse success stories to understand why they were outstanding. Promote innovative engineering ideas and principles throughout greater Australia. Across structural and civil engineering, specialists are aiming to innovate. The Queensland Department of Transport and Main Roads isn't a stranger to the concept of innovation, either. In September of last year, it released a document briefly describing how it wants to encourage inventiveness when developing traffic engineering solutions. One of the ways in which it will promote innovation is to accept and work with the risk and costs associated with the idea. The Department recognises the importance of allowing changes to components, materials and processes is necessary to reinventing solutions for the better. Across the board, Queensland's rhetoric clarifies that the state is ready to support engineers who display a willingness to push the metaphorical envelope. 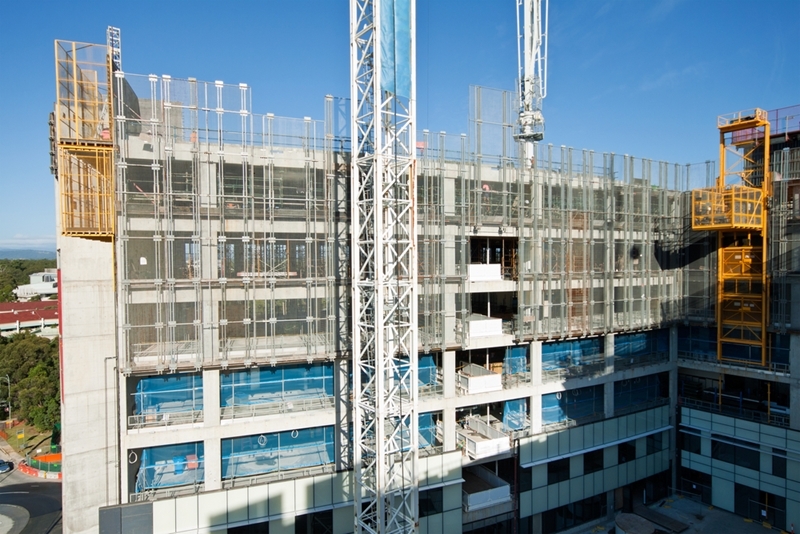 Civil and structural engineering solutions are a key driver of employment. Public transport developments recruit a high volume of workers and a wide range of occupations, from construction workers to building designers. Queensland is currently enjoying low unemployment and a burgeoning public transport network. Queensland is currently enjoying low unemployment and a burgeoning public transport network stemming from infrastructure improvements. A recent Queensland government release shows the Gold Coast has created 14,800 new jobs over the previous 12 months. Using figures released by the Australian Bureau of Statistics, the government says that the annual unemployment rate has fallen by 0.7 to 5.3 per cent. "Just yesterday I was on the Gold Coast to announce the successful tenderer for the $163 million heavy rail duplication project between Helensvale and Coomera which will support another 200 jobs when construction commences in March next year," Treasurer Curtis Pitt said. The figures show the Gold Coast is the state's leader in employment. This may be a result of increased infrastructure construction that has been ongoing over the last few years. If the South East fully utilises the region's public transport system, there could be an even greater need for more jobs and quality engineering solutions. What do engineering solutions mean for unemployment? According to the Queensland government, public transport use in South East Queensland has increased in the July to September 2015 period, in comparison to last year. Minister for Transport Stirling Hinchliffe said the figures were collected as part of the TransLink Tracker quarterly report. "The government's decision to release the TransLink Tracker is about restoring accountability and transparency in our public transport network," he said. "It's fantastic to see that after three years of stagnation, patronage on our public transport network is growing and is up by 3.1 per cent." The report focuses on a number of variables, such as patronage, on-time running, customer feedback and satisfaction, smart card use, safety and service kilometres. It aims to provide a cross-section of the South East Queensland's public transport services for the public. Its findings also showed there was an increase in journeys using the network to over 47 million, which is an expansion of more than 1.4 million trips over last year. Additionally, there has been an overall increase in public transport use - 430,000 more bus trips, 305,000 train journeys and 40,000 more ferry voyages. The 640,000 extra trips on the Gold Coast Light Rail is evidence that it has also become more popular with Gold Coast commuters. To find out more about infrastructure solutions, for both government and private developments, talk to Burchills Engineering Solutions today. How important is road infrastructure to economic growth? The basic role of transport infrastructure is to generate connections between geographically separated locations for both commercial and individual needs. Essential to this aim is the civil engineering sector. However, for most Australians, their experience of civil engineering and transport infrastructure comes in the guise of highways, bus lines and railways. Yet, transport infrastructure can have a major impact on a country's economic state, leading to improvements in productivity and economic indicators. The impact of transport infrastructure on economic development has been studied in detail. One of the most encompassing investigations was conducted by Sir Rod Eddington for the UK government in 2006. The extensive report, published in four volumes, highlighted the positive long-term links between transport and the country's economic activity. Transport infrastructure can have a major impact on a country's productivity and economic indicators. The report found that the UK's transport system will be a key catalyst for the country's continued productivity and competitiveness. For instance, a five per cent decrease in business travel time on the UK's roads could lead to a £2.5 billion reduction in wasted business costs, representing 0.2 per cent of the country's 2006 GDP. There are two main ways transport infrastructure can facilitate economic growth. They can create connections between businesses and input sources, other businesses and their markets. It also facilitates the movement of raw materials to and from companies as well as the transportation of finished products to distributors and retail outlets. On the other hand, an effective network is able to move large volumes of human capital to and from their places of work, to educational institution, social events and locations where individuals can buy products and services, such as shops. What is being done to better transportation networks in Australia? The government is aware of the importance of transport infrastructure. For instance, the 2015-16 budget put a lot of emphasis on infrastructure investment. 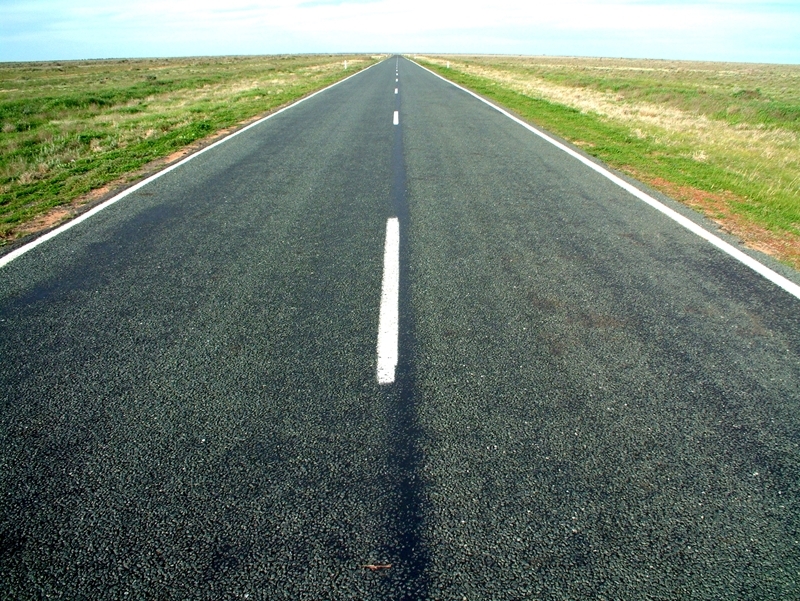 According to the Australian government, the Roads to Recovery Programme will invest $350 million in the construction and upkeep of local roads with a further $350 million in 2015-16, while more than 2,000 projects have been identified for funding between 2014-2019. Specifically, the federal government invested in developing the countries freight industry by upgrading major transportation pathways, such as Queensland's Bruce Highway. How can road networks improve a country's economic state? Civil engineering companies in Australia will be crucial to the continued development of transportation networks and thus improvements in economic activity. If you would like to know more about civil engineering and how it can help facilitate productivity, talk to a team of experienced of engineers today. What kind of cities do you want to live in? More than two thirds of Australia’s population live in our major cities and cities are growing faster than regional centres. We all enjoy the positive aspects of growing cities like improved physical and social infrastructure but we fear the negative aspects. We desperately want to preserve our amenity, lifestyles, and natural environment and rightly so. These factors are important for our cities reputations and brands and whether we think about it or not, they are also important for our personal health and wellbeing. How do you achieve growth while maintaining quality of lifestyle? Burchills Engineering Solutions and Atlantis Aurora hosted a seminar on “Vertical Gardens and Green Roofs” in Southport recently to show how this emerging technology can change the face of cities for the better. Continue the discussion or find out more via our social media sites LinkedIn and Facebook. We welcome you to comment and post up some examples of vertical gardens and green roofs what you would like to see in your city. For more information contact our Principal Environmental Scientist Caroline Kelly on 07 5509 6400. Making a campus look good is one thing, but ensuring it can accommodate students, faculty, administrators and visitors for years to come is another. About three-fourths (73 per cent) of later-year pupils have off-campus jobs. Most first-year students work between six and 20 hours per week, while more experienced undergraduates spend between 11 and 15 hours on the clock. Given that the majority students are travelling to and from campus on a weekly basis, it's imperative for universities to engineer facilities that support this lifestyle. South East Queensland is no stranger to environmental disruptions. The Bureau of Meteorology noted the January 2011 flooding that impacted an estimated 200,000 people, causing approximately $1 billion in damages. More than 8,600 properties (both residential and commercial) were in some way affected by this event. Campus grounds should be easy to navigate. Universities are responsible for the safety of their students, meaning their facilities must be resilient to extreme weather, especially if they're located in South East Queensland. Closely related to the first characteristic, students must be able to find their way around the campus intuitively. Doing so involves employing a logical design. When reason takes over, and students quickly figure out how to get from the first-year dorms to the dining hall, to the engineering building and so on, you have the basis of a more secure educational experience. Bike paths and spacious walkways are staples of any university. If a school's size or location make it difficult for students to reach specific destinations on foot within a reasonable amount of time, transit engineers should consider implementing shuttles. When university administrators forecast a surge in enrollment, the sustainable solution lies in reusing or renovating existing properties to support more students, faculty, vehicles and so forth. Purchasing more land and developing it won't fix the problem, and may disrupt the navigability and rhythm of the existing campus. Therefore, civil engineers must design university grounds with forethought given to future investments. Sewage and drainage systems, electrical assets, roadways and other solutions must be able to support expanded or renovated structures. This enhances a school's long-term sustainability and tempers expenses. When we think of innovative engineering, we often regard solutions that are incredibly complex, featuring thousands of components working harmoniously to support a single function. However, it'd be a disservice to the industry to ignore simple, effective plans. There's something admirable about making do with what you have without sacrificing operability, and that's exactly what frugal engineering is all about. Bridge designers, civil engineers and other experts working in the field can apply this concept to their practices. In a nutshell, frugal engineering - also known as frugal innovation - refers to decreasing the intricacy and expenses associated with creating something. When does frugal engineering make sense? India has largely been the center of frugal innovation. As London Business School professors Nirmalya Kumar and Phanish Puranam wrote in Ivey Business Journal, Indian engineers have developed products that their native country needs while considering its fiscal constraints. "The beauty of the Indian market is that it pushes you in a corner ... it demands everything in the world, but cheaper and smaller," said former GE Indian Managing Director Guillermo Wille, as quoted by Mr Puranam and Mr Kumar. The authors repeatedly acknowledged the budget-constraints of the average Indian consumer. With a population of more than 1.2 billion people (according to Trading Economics), companies such as Siemens need to develop X-ray machines, fetal heart monitors and road traffic management systems that are completely devoid of frivolities. The basic reasoning is that as long as these devices get the job done and can be provided to the market at affordable prices, why add features that are "nice to haves"? Does frugal engineering make sense in Queensland? Queensland isn't experiencing the same economic challenges as India, but that doesn't mean the state couldn't benefit from making the most out of its budget. Queensland is currently contending with $80 billion of debt. The state government maintained that Queensland is currently contending with $80 billion of debt. Of course, this has prompted authorities to develop action plans that will stabilise the state's financial situation. It's a tricky dilemma, given that officials need to find a balance between cutting services and updating a constrained infrastructure. In this respect, applying frugal engineering to city planning isn't necessarily the worst idea. Obligating engineers to abide by strict budgets offers long-term benefits as well. Some would suggest that the industry is currently at a turning point: One mentality calls for developing complex, resource-heavy solutions, while the other values simplicity and affordability. The next generation of engineers need to change their way of thinking - cost-efficient systems don't have to translate to cheap implementations. Construction has commenced on turning our structural engineering design for the new PE Centre at All Saints into reality. Condev are building the project and the scale is quite impressive. As this drone footage shows, the slab is some 2,300 square metres in area with 900 cubic metres of concrete - equivalent to 107,000 cartons of beer! Logistics were impressive with 130 concrete trucks arriving on site between 6am to 6pm and two concrete pumping booms sourced from outside the city. It's easy to think of the internet as a giant invisible blob encasing the globe. Terms like 'cloud computing' only reinforce this misrepresentation. In reality, the web is comprised of billions of physical assets connected via fibre-optic or copper cabling. So, when civil engineers open the discussion about integrating digital technologies into next-generation railway projects, they must design solutions that are compatible with the internet's tangible infrastructure. Before analysing the repercussions of engineering internet-connected railroads, let's take the time to understand two terms that have taken the tech world by storm: big data and the Internet of Things (IoT). According to Gartner, big data refers to an unfathomable amount of varied information generated at a rapid pace. It's a concept (or movement, depending on one's perspective) that obligates organisations to implement solutions capable of managing a high volume of diverse data and leverage it to gain competitive advantages. TechTarget described the IoT as a situation in which people, objects, animals and other 'things' are equipped with data production assets, enabling them to share this information with one another over the web automatically. Railways will invest $2.41 billion in big data annually by 2021. 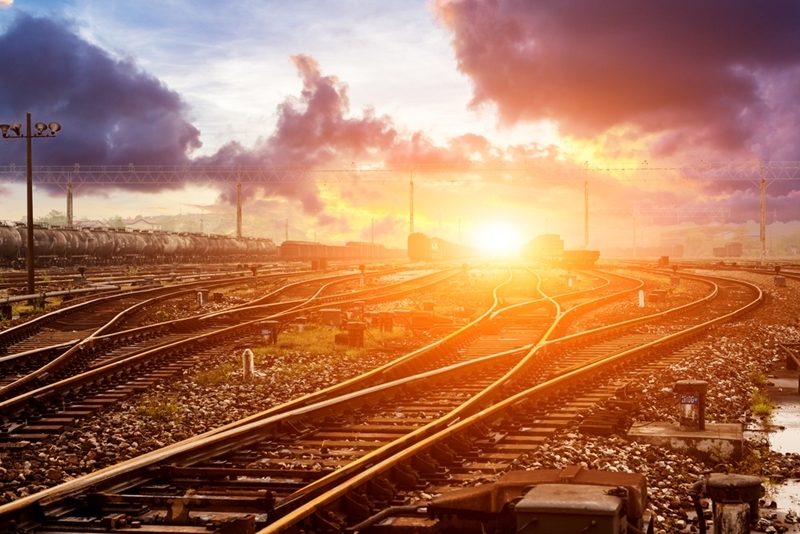 Rail companies have expressed interest in new signalling and asset management systems that allow them to establish data-based transportation networks. Imagine being able to readjust a train schedule to accommodate an unforeseen burst in demand or notifying maintenance crews of pending malfunctions to prevent faults. Supporting these capabilities requires thousands of smart devices, a dependable fibre-optic network and software able to process and organise all of that data. Interest in such technology is tangible. According to Frost & Sullivan, rail companies across the globe will invest approximately $2.41 billion in big data every year by 2021. "The main aim of the rail industry's implementation of big data technologies has been predictive analytics. Integrating media analytics to improve the security of rail infrastructure and payload are also key applications," said Shyam Raman, research analyst at Frost & Sullivan Automotive and Transportation. The IoT and big data will impact how engineering consultants design railways, buildings, water systems and other solutions. Because these technologies will define how 21st-century rail networks operate, specialists must conceptualise tunnels, bridges and tracks that work in tandem with digital automation. An engineer's job is to design a solution that serves a specific purpose. If a rail system's purpose is to independently make educated decisions based on a real-time information, they need to assess the design implications associated with such an operation. In 2010, the South East Queensland (SEQ) Healthy Waterways Partnership (HWP) developed a total water cycle management (TWCM) planning guideline. Published by the Department of Environment and Resource Management, the protocol delivers a framework for stakeholders responsible for supporting sustainable water management initiatives throughout SEQ. The HWP's endeavour brings up an interesting discussion. What can environmental engineers glean from the TWCM strategy? What are the core principles within the plan that can be applied to similar endeavours? Before designing drainage networks, wastewater treatment centres and other solutions, engineers, project managers and other stakeholders must familiarise themselves with SEQ's natural water cycle. Water cycles are integral components of greater ecosystems, and are influenced by geographical factors, climate, demographics, settlement trends, rural and industrial actives and other factors. Understanding a water cycle enables engineers and developers to determine how new structures, solutions or investments will impact its continuity. The primary idea is to maintain balance; develop strategies that sustain communal water requirements without disrupting the environment's integrity. As one can imagine, developing an effective TWCM strategy requires stakeholders to conduct investigations. Analysing water resources is an example of such action. Resources: Regional rivers, lakes, dams, springs, groundwater and overland flow. Ecological outcomes: Will water be consumed and replenished in accordance with the natural continuity of water cycles? Future use: How much water will be needed to support the requirements of future socieities? Overall, TWCM plans are compounded on a variety of assessments, such as industrial application audits and water replenishment analyses. Developers may seek technical advice from civil engineering firms, ecologists and even virologists if epidemiological risks are suspected. No single TWCM strategy is identical to another. An agricultural operation will have different implications for a regions water cycle than a bustling metropolitan area, for instance. To expand on this example, consider how using certain fertilisers and pesticides can impact water cleanliness and result in certain ecological repercussions. According to the HWP, SEQ's catchment and waterway designs have, despite population growth, decreased the amount of sewage-based pollutants that have permeated into Moreton Bay. This is a small example of TWCM planning in action. TWCM, as a topic, cannot be summarised within a 400-word blog. You can be sure that we'll be visiting this subject more than once. In general, treat this article as a reliable overview, rather than a granular analysis.